Judaism is defined by the Cabala which says God is “formless and unknowable.” Since knowing and obeying God is the essence of religion, Judaism is in fact a satanic cult masquerading as a religion. Due to the power of the Cabalist Jewish central bankers, humanity has become a satanic cult. 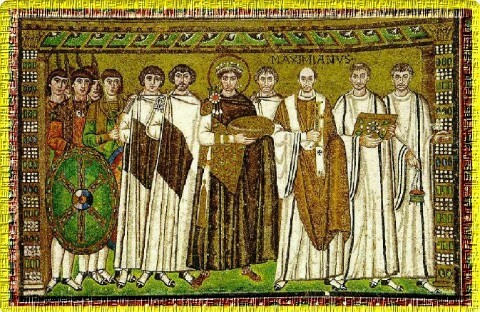 Here Brother Nathaniel discusses the pernicious influence of Jewish media, and recalls how the Byzantine Empire resisted Illuminati Jewish power. Is it too late for us. “Europe Is The Church and The Church Is Europe!” wrote Hilaire Belloc, the 20th century English historian. But with the dismantling of The Church accomplished by the regicides of Charles I, Louis XVI, and Czar Nicholas II, Church and State no longer act as a foil against the intrigues of international Jewry. Today, Europe– once known AND experienced as Christendom … wherein Jews were considered enemies of the Gospel–is a secular wasteland. It’s ruled instead by the Synagogue…with Jews at the highest levels of economic, political and cultural influence. Once upon a time, The Church clearly understood the danger of allowing Jews to hold sway over society. It was Emperor Justinian of the 6th Century who – in his “Justinian Code” – forbade Jews from participation in banking, holding civil office, and from teaching positions. He understood–as did his Christian subjects–that Jews were to be kept on a short leash, otherwise Jewish tyranny, betrayal, and rapid moral decline would destroy Christian society. And now that very destruction has been unleashed. Facts are facts…Jewish devastation in our national life abounds. For it’s no secret that Jewish Money Power and its Lobbies have our monetary policy and Congress in a vice grip. 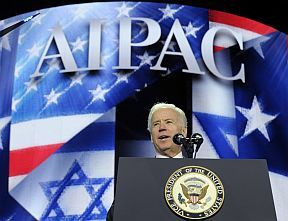 And just a few weeks ago, Joe – ‘I AM a Zionist’ – Biden acknowledged that Jews wield dominant influence in shaping American culture. Crediting Jewry for leading our nation into accepting the sin of homosexuality, Biden told a crowd of Jews celebrating Jewish Heritage Month that the “driving force” of this “social change” is the Jewish-owned main stream media. Said Zionist Joe, Quote: “I bet you 85 percent of these changes whether it’s in Hollywood or social media, is a consequence of Jewish leaders in the industry.” Unquote. In a recent Meet the Press interview, Biden singled out the sitcom, “Will and Grace,” produced by David Kohan and Jeff Greenstein, (both Jews), for playing a major role in molding the masses to embrace homosexual unions. Last September, NBC, owned by the Jew Brian Roberts, began airing the homosexual sitcom, “The New Normal,” which by all appearances influenced the Boy Scouts’ decision to accept homosexual members. Is it for no reason that Christ called Jewry the “Synagogue of Satan” seeing it is highly organized, universal in scope, and evil in its designs.